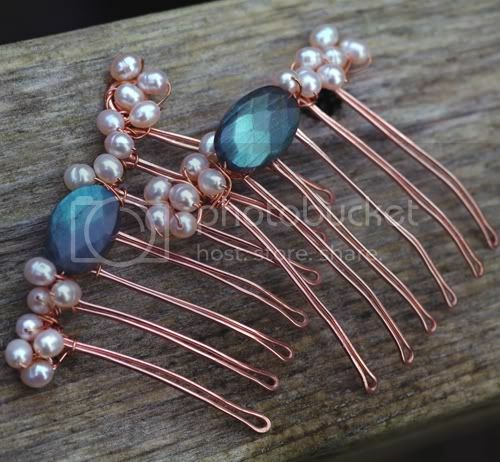 If you have problems with combs staying in your hair, a tip: after the comb is placed in your hair as you like, take a bobby pin and stick it across the tines, either diagonally or perpendicularly. The bobby pin will be buried by your hair, and secure the comb in place. More photos and info at my Etsy store. They look so delicate and have a very romantic feeling about them. Love it.